The UMass Lowell men’s basketball team (12-10, 4-3) disappointingly had their four game winning streak snapped by the Maine Black Bears (4-19, 2-5) in a 78-59 blow out loss this past Wednesday night at the Tsongas Center. Being statistically the worst team in the conference, the America East visiting Black Bears were clear underdogs coming into the contest. 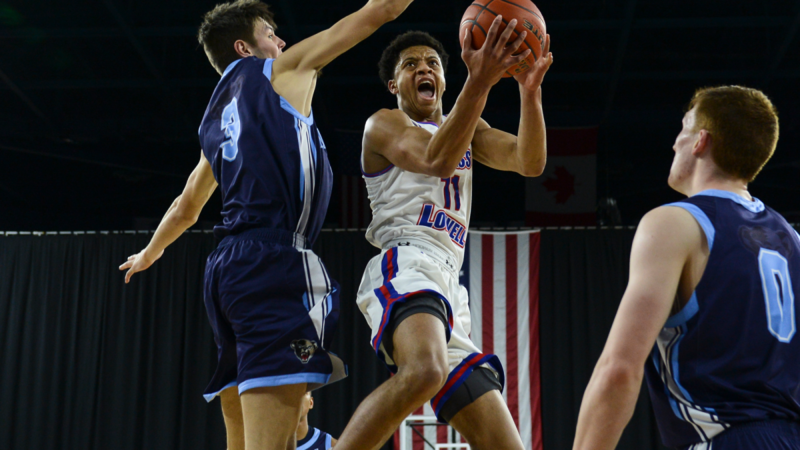 In a game where the River Hawks were outscored 46-20 in the paint, the game plan by Maine’s head coach Richard Barron was clear; attack the smaller and undersized River Hawks. Tough 6’7 Junior forward Andrew Fleming, who came into the game averaging 12.9 points per game, turned out to be the perfect catalyst for coach Barron as he dominated the hosts. He finished as the game’s top scorer scoring a career high 36 points and seven rebounds on an incredible 18-20 shooting night from the field. The River Hawks came into the matchup in their best form of the season, but the Black Bears came out with a superior energy immediately; as they flew out to a double digit lead in the first half. The River Hawks, with what has turned into their typical starting five, had their usual dependable players all suited up for this contest. Their efforts were in vain. Sophomore guard Obadiah Noel embodied the first half in one play. As he was fouled on the floor, Noel continued to finish the play with an athletic dunk displaying his frustration in the team’s inability to get to the paint. Maine’s Fleming continued his relentless attack on other end. The visitors dominated the boards as they out rebounded the River Hawks 33-25 for the entire game. What many River Hawk faithful might find most shocking was the scoring of the bench or lack of it. Freshman guards Alex Rivera and Bryce Daley are getting more adjusted to college basketball as each game goes on; consequently fans are expecting more production from the young core. Unfortunately for the Lowell faithful, it just wasn’t their night tonight. Redshirt junior guard Christian Lutete led the River Hawks with 26 points and six rebounds in a losing effort. The Black Bears had two players in double digit scoring figures, managed only to shoot 16% from beyond the arc, but still lead for the entirety of the game. The rest of the teams in the America east conference will look into last night’s tape. They may consider following the Black Bear’s blue print of continuously attacking the River Hawks inside the paint.